TEDxBend Salons each focus on a timely or current issue, and provide opportunities for conversation. Salon attendees watch a selection of TED Talks, and occasionally a few live speakers, and enjoy a facilitated discussion about the ideas shared. 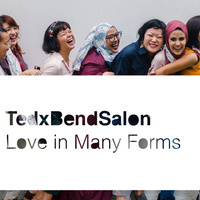 In this Salon, participants will explore the many ways love is expressed and conveyed, and how it can impact an individual and a community.